With a change in a cable, convert your LS mic from a beltpack style preamp, to a "Studio" series model, and then to AMT "Wireless setups". 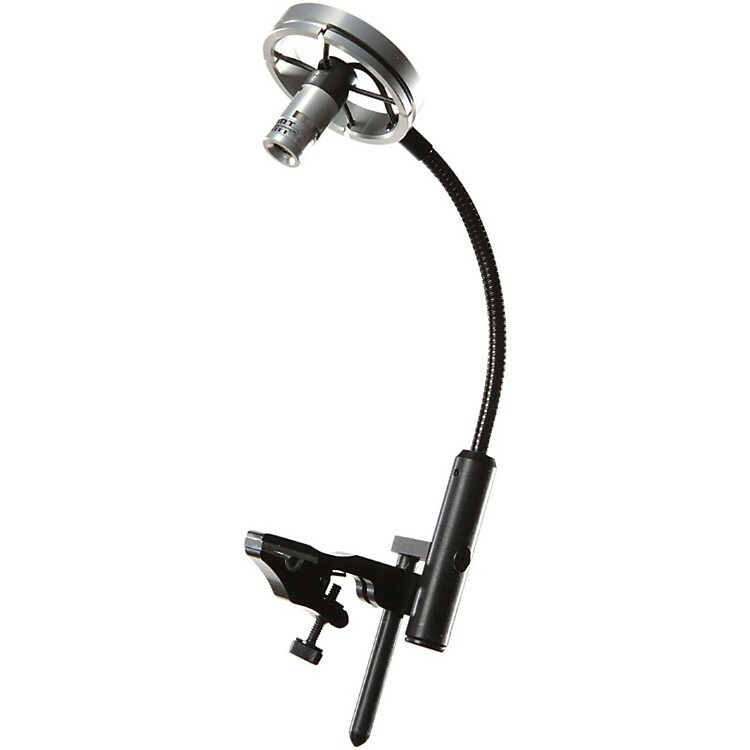 The instrument microphone is suspended in a 4 point isolation ring reducing key and handling noise. Phantom power or 9Volt battery required. Comes with BP40 beltpack style preamp, case, and AMT disconnecting cable technology to allow the microphone to be used as "Wireless" or "Studio" models if needed. (Additional cables for a variety of setups sold separately. AMT Interface also sold separately to allow connections for many wireless systems). Order today and separate from your straight stand.